Evelyn documents the story of a family overcoming the unthinkable. 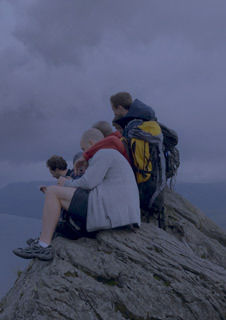 On a walking odyssey across the United Kingdom, they confront a past they've been unable to talk about, whilst simultaneously repairing the fractures in their own relationships. Director, Orlando von Einsiedel turns the cameras on himself, as he and his parents and siblings embark on a journey in remembrance of their brother and son, Evelyn, who took his own life over a decade ago. Part quest film, part road-trip, part memoir, Evelyn seeks to address the past, in order to find some peace in the present, and look to the future. We are screening Evelyn in collaboration with Second Step, a mental health charity based in Clevedon, who will be introducing the film and will be available after the screening to discuss the issues with anyone wishing to talk.